Ethiopia has made impressive progress through achiving many of the national and global health indicators as a result of strong leadership of the Federal Ministry of Health (FMOH), coordination of efforts and intensive investment in the health system by the government, partners and the community at large. The country achieved MDG 4 target in 2012 three years ahead of 2015 by reducing under-five mortality by two thirds from its 1990 level. The National Child Survival Strategy (2005 – 2015) and the Child Survival Partnership were instrumental in guiding the design, implementation,coordination, monitoring and evaluation of high impact newborn and child health intervetnions in the country. 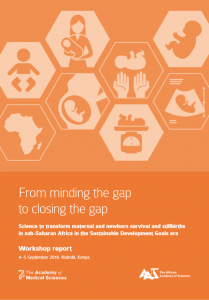 Whilst celebrating the achivements made through successful implementation of the National Child Survival Strategy (2005 – 2015) FMOH dully recognizes that the current under-five and neonatal mortality rates of 64 and 29 per 1,000 live births, respectively, is unacceptably high. The ministry also acknowledges that neonatal mortality rate is disproportionally high accounting to 44% of under-five deaths. 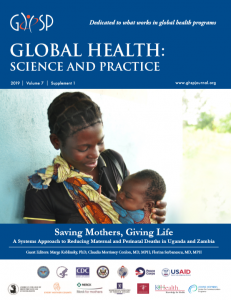 In addition, neonatal and under-five mortality rates vary across income, gender, and geographical areas. 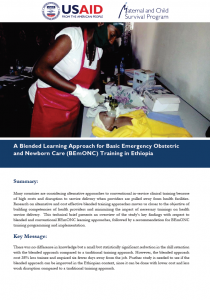 Cognizant of this Ethiopia has envisioned to end all preventable newborn and child deaths by 2035. 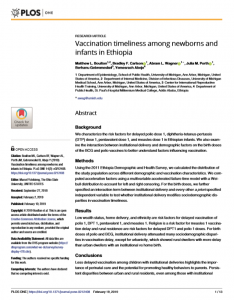 To this effect in 2012 Ethiopia has led the development of the “Promise Renewed Child survival Roadmap” with a commitment to end preventable child death with the goal of dropping under-five mortality rate to less than 20/1,000 live births by 2035. 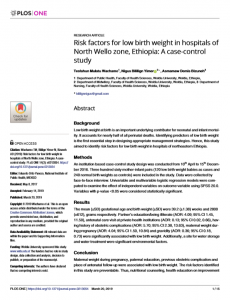 Effective coverage for life saving high impact newborn and child health interventions has been steadly increasing. However, the access to and utilization of the interventions have not been uniform across all sections of the the population and different geographical areas. Building on the success recorded in accelerated expansion of the health services throughout the country through implementation of the four cycles of Health Sector Development Plans (HSDPs) FMOH will work with Regional Health Bureaus (RHBs) and its health development partners to ensure universal coverage of quality high impact newborn and child survival interventions. Addressing inequity and ensuring quality service delivery, prioritized guiding priniciples in the Health Sector Transformation Plan (HSTP) 2015/16 – 2019/20, will also guide the implementation of this strategy. 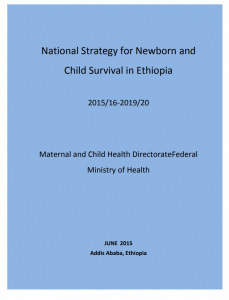 The National Newborn and Child Survival Strategy (2015/16-2019/20), which will be part of the HSTP covering same period, aims to reduce under five mortality from 64/1,000 live births (2013 level) to 29/1,000 live births, infant mortality rate from 44/1000 live births to 20/1000 live births and NMR from 28/1,000 live births to 11/1,000 live births. The strategy plans to ensure universal coverage of quality high impact newborn and child health interventions along with meaningful community empowerment to create demand for the services. 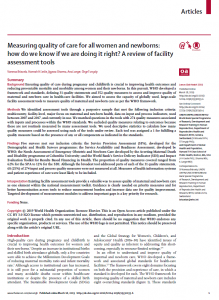 The strategy identified and prioritized 39 high impact and cost effective newborn and child survival interventions with key guiding principles for implementation of the strategy including equity and accessibility; community engagement, empowerment and ownership; integration; partnership; efficient use of resources; innovation and use of technology; evidence based decision making; and provision of quality MNCH services. A sustained government and partner’s commitment, the Primary Health Care Unit with its home grown innovative Health Extension Program that utilizes the Health Development Army as platform for social mobilization, and strengthened referral and linkage will continue to be the basis for continued gains in newborn and child health.